"It is an ancient game but it is not the Marathon." What would you say to a call to a 2500 years old sport event? CAAEN members said. "Let us form a team and have fun!" That’s their response to the Paddle for Life Dragon Boat Race. Dragon boat races are traditionally held to commemorate the death of Qu Yuan, a patriot poet during the Warring States period (475 – 221 BC). 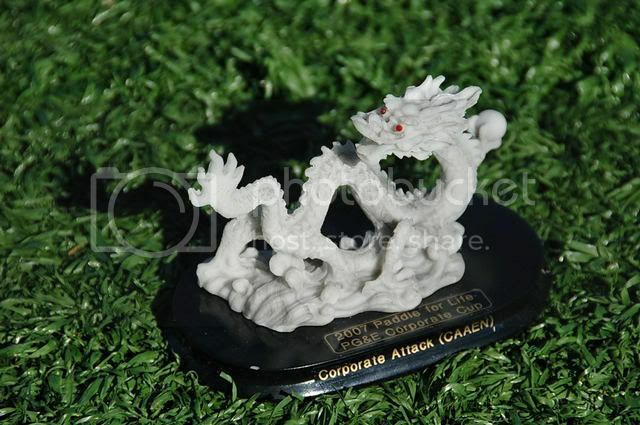 For racing events, dragon boats are always rigged with decorative Chinese dragon heads and tails and are required to carry a large drum. 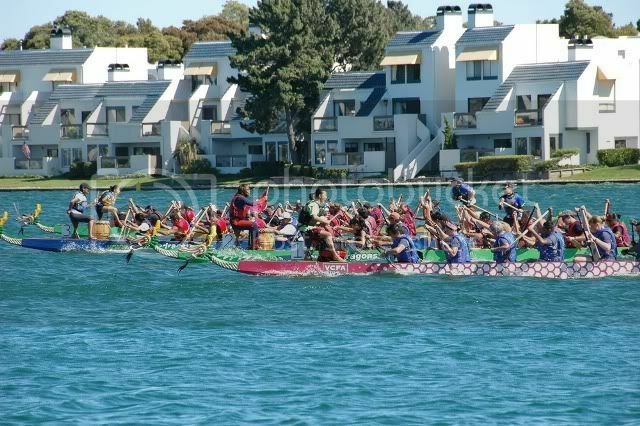 Dragon Boating is a team paddling sport involving 20 paddlers (10 along each side), a steersperson and a drummer, racing in a long boat against several others. Dragon boating emphasizes working together with teammates to persevere and synchronize every paddle stroke to fight for the finish line. 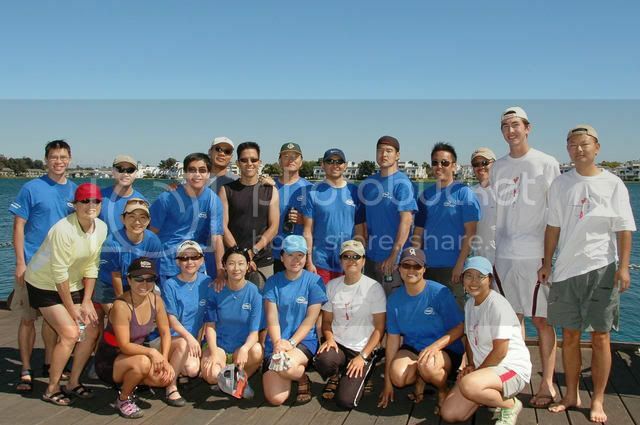 On August 18th, 2007 in Foster City, 40 teams from the local communities participated in the charitable event, Paddle for Life. The dragon boat race was organized by the Bay Area Dragons (BAD) and donations were dedicated to the fight against cancer in the bay area. American Cancer Society, Asian American Cancer Support Network and Team Survivor were the agencies benefited from the event. CAAEN members joined forces from Intel, HP, Wells Fargo, AAA and GE, to form "Corporate Attack. Practices were held on three Sunday mornings prior to the event. The team grew in their skills as well as the confidence over the weekends. Corporate Attack raced in three separate heats. It scored the second best time in the whole event and the best average time among the three races. It even made second place in the semi-final, which is also the "2007 Paddle for Life PG&E Corporate Cup". That was a little disappointing as the team missed the spot for the final by a split second, literally half a second. San Jose Police eventually claimed the champion title. The other race team from HP HAPEN, a CAAEN member, also made it to the semi-final. Well, don’t count us out. CAAEN already committed to return to the race in 2008.